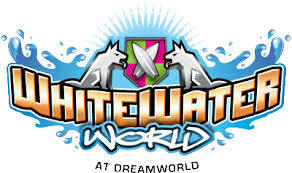 Brought to you by Dreamworld, WhiteWater World is a world built around a unique beach and surfing culture. The beach paradise is jam-packed with Australian firsts and boasts some of the hottest waterslides on the planet including The Wedgie. Within WhiteWater World is Wiggle Bay a miniature water park perfect for pint sized patrons. Bigger kids can dive in at Pipeline Plunge, the ultimate all day water playground jam-packed with 100 interactive water activities in one enormous tree fort structure. WhiteWater World is just a hop, skip and a splash from Dreamworld. WhiteWater World is open 10am to 4pm (minimum) except Christmas Day (25 December) and ANZAC Day). Hours extended during summer. Refer to the website for updates. WhiteWater World, is located next to Dreamworld in South East Queensland at the northern end of the Gold Coast, on the Pacific Highway (M1) Coomera, 17 kilometres (20 minutes) north of Surfers Paradise and 48 kilometres (40 minutes) south of Brisbane. There are many transport options to Dreamworld, including bus, coach, rail, car and helicopter transfers.